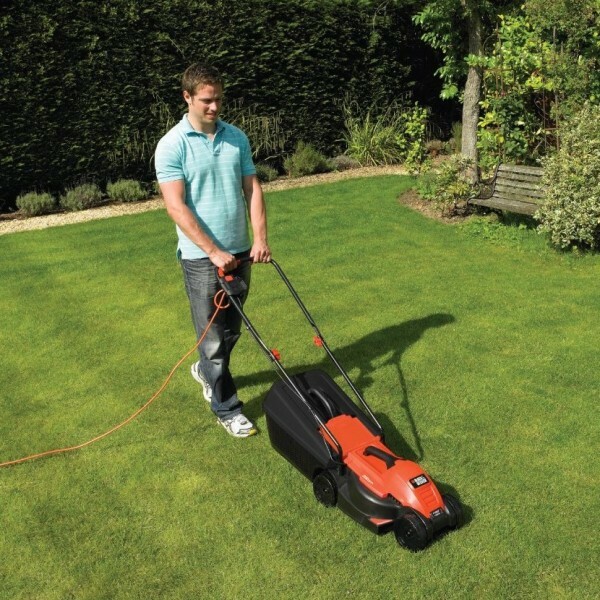 The Black & Decker EMAX32S-GB electric lawnmower is a high torque, high performance cutting system for the stall free cutting of tall and damp grass. 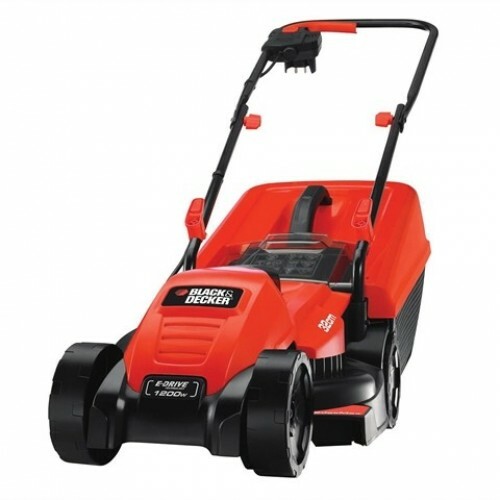 The lightest Black & Decker lawnmower, it has a 32cm cutting diameter and is easy to use, its integrated handle making it even easier to lift and move around. Featuring an optimised 35L grass box and EdgeMax for closest edge cutting, the EMAX32S-GB lawnmower collects more grass for less time spent emptying. A bag full window lets you know when the grass box needs emptying while quick release cable storage helps to keep the cable tidy. EdgeMax: closest edge cutting. 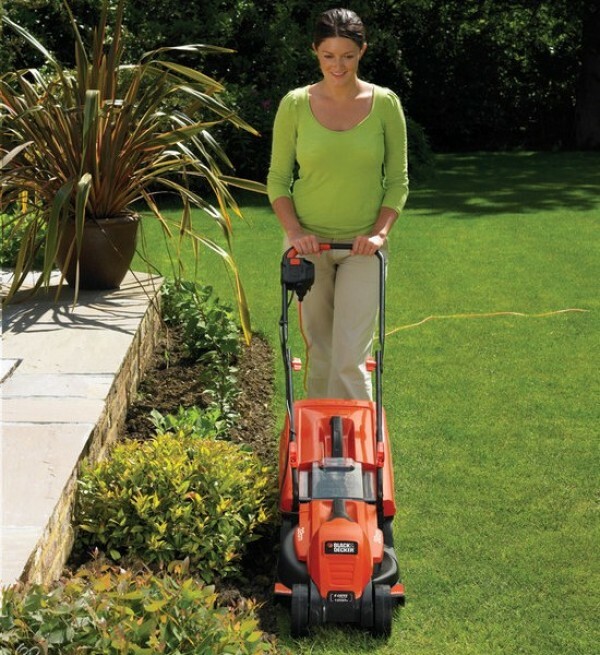 E -Drive: High Torque, High Performance cutting system - stall free cutting of tall & damp grass. Optimised 35L grass box collects more grass for less time spent emptying. 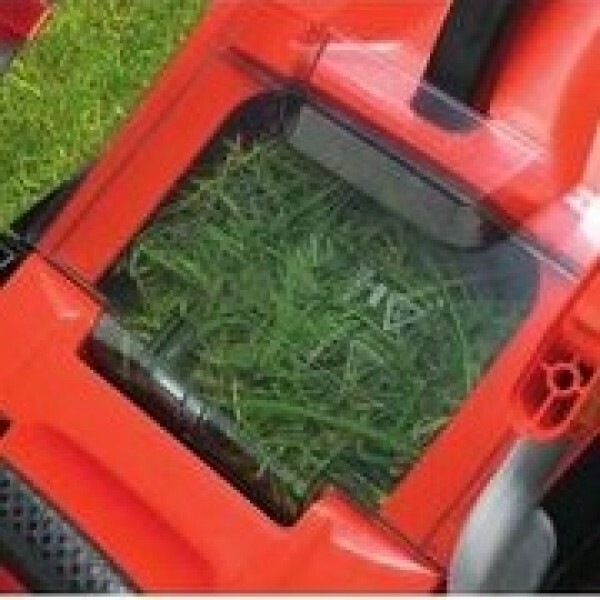 Bag Full Window: know when the grass box needs emptying. Quick release cable storage to keep the cable tidy. Effortless in use and integrated handle makes it even easier to lift & move around the home. Low profile design allows for improved access under shrubs & furniture. Handles quickly fold down to reduce the footprint for easier, more compact storage. ErgoSwitching. Low fatigue switching moulds into the hand. Grassbox capacity: 35L. Bag Fill Indicator. Cutting heights: 20, 40, 60 mm.